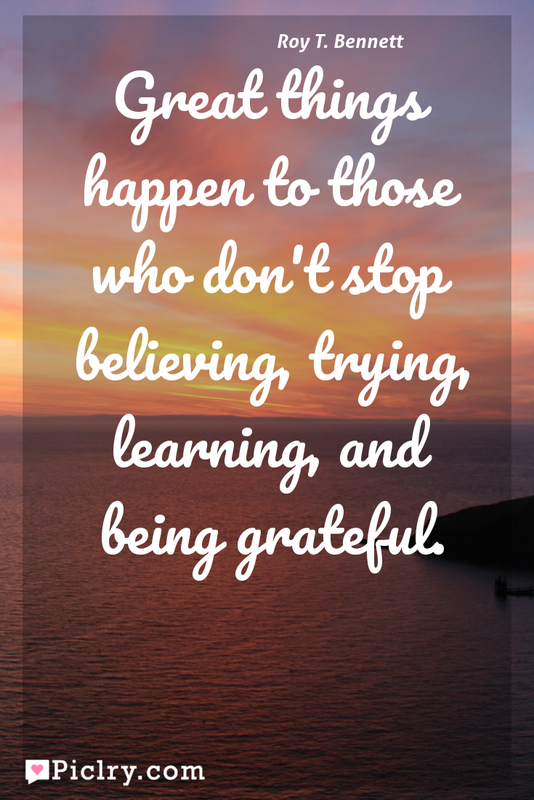 Meaning of Great things happen to those who don't stop believing, trying, learning, and being grateful. Meaning of Great things happen to those who don’t stop believing, trying, learning, and being grateful. Quote by Roy T. Bennett. Always remember people who have helped you along the way, and dont forget to lift someone up.